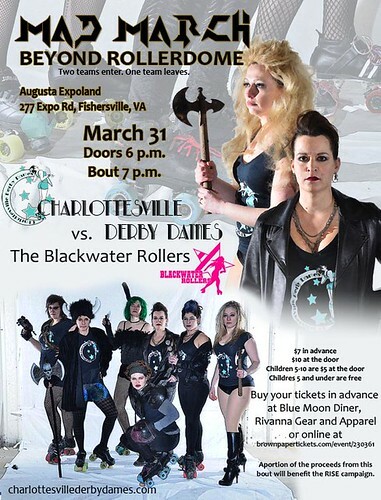 We are excited to be traveling up north to take on the Charlottesville Derby Dames this Saturday. These ladies have come our way a good many times and we are ready to face them on their home rink. The Dame’s home bouts are as exciting as they come so if you are looking for a reason to get out of town, you now have one! For more information, check out their facebook event page or purchase advanced tickets here.